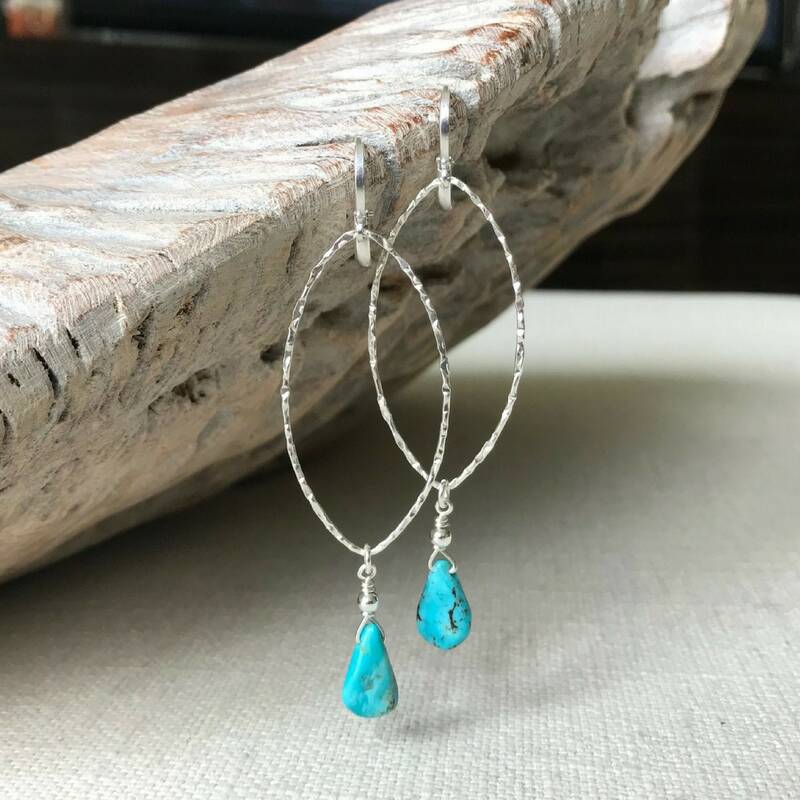 Beautiful genuine turquoise drops are layered with sterling silver beads and dangle from simple, large, modern & slightly hammered sterling silver marquise hoops finished with silver plated round lever backs. 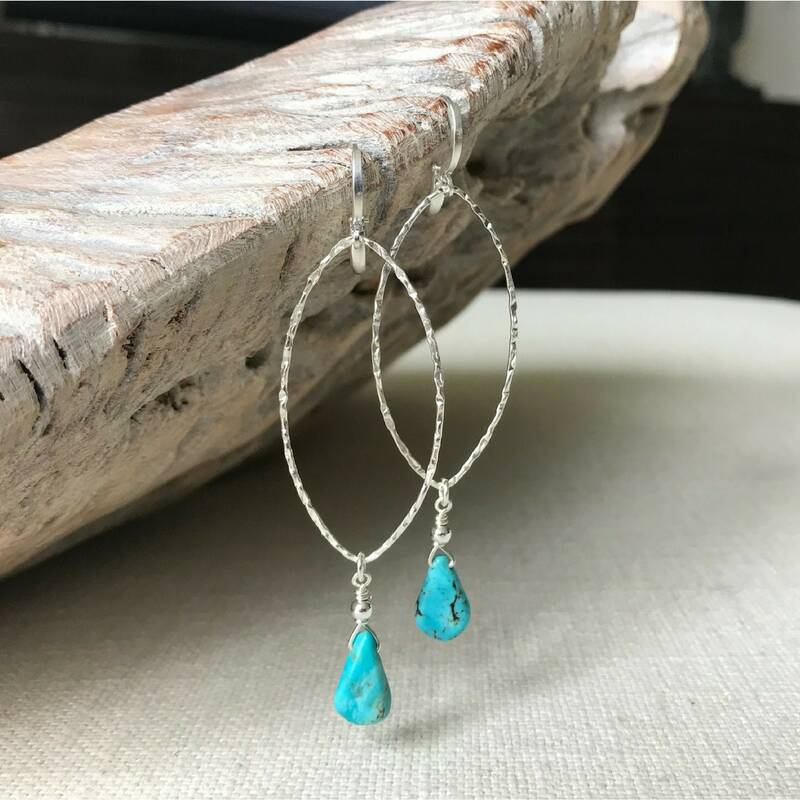 These lightweight earrings are perfect for any occasion and can easily worn dressed up or down, day to night. A perfect gift for any occasion, a December birthday girl or a little treat for yourself! 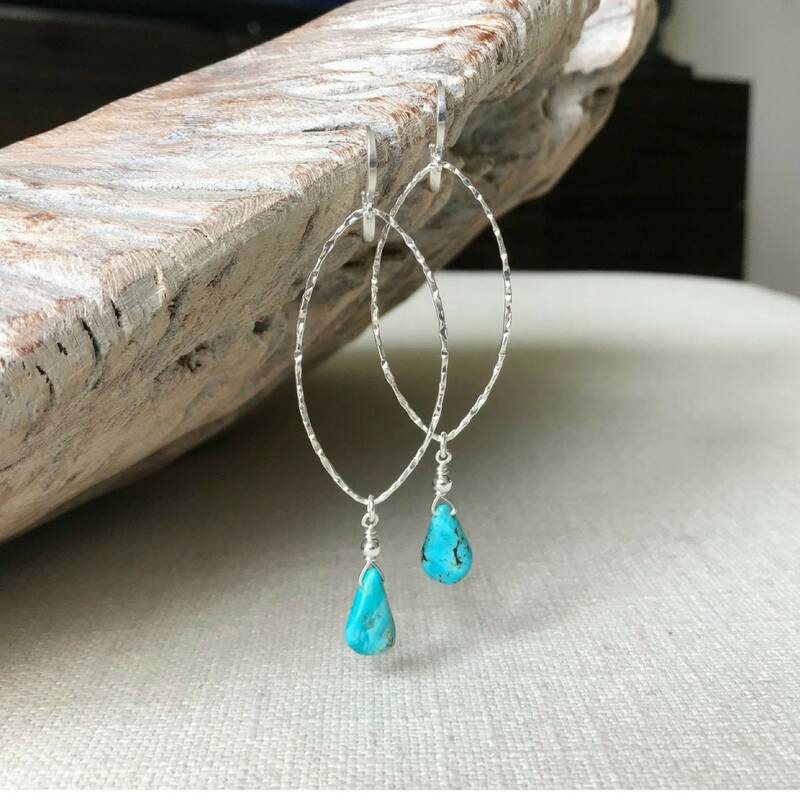 The earrings measure approx 3" from end to end and are approx 1" wide. 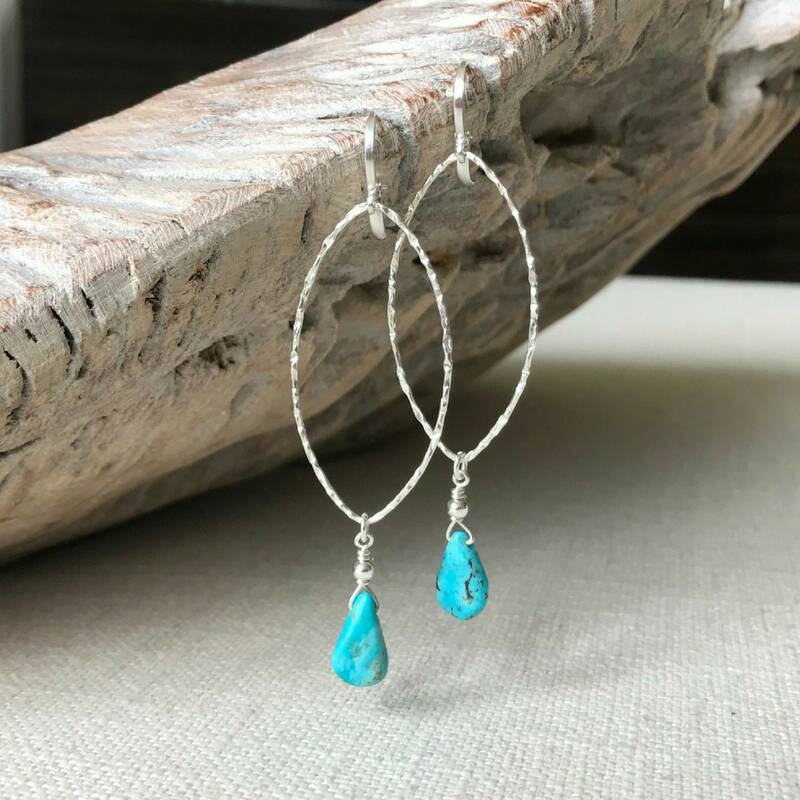 The turquoise drops are approx 8-10mm.